As the summer season winds down, fall knocks at our front door bringing blistering winds, colder temperatures, unique river conditions, and ample angling opportunities. Tired of summer crowds and high sun? Skeptical about fishing in windy weather? 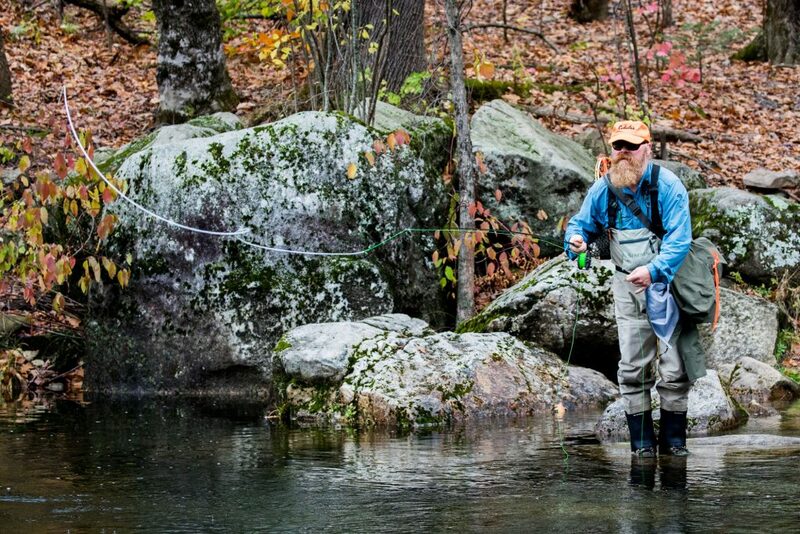 Fall turns many anglers away from a fly rod and toward skis, shovels, and pumpkins. That doesn’t have to be you. Trout begin spawning, midges and insects populate the river, and fishing for trout in shallow water can be quite productive. Anglers can often find trout feeding on aquatic insects in shallow riffles. Why sit at home when you can capitalize on a great time of the year on the water? Proper layering goes a long way in keeping you dry and comfortable on the water. Here are a few layering suggestions to help battle cold temps this fall. One of the largest changes brought on by the fall season is weather; forget about your summer wet-wading tendencies, t-shirts, and sun hats. Water temperatures plummet and streams change drastically. To maximize fall fishing experiences, it’s important to have gear that is durable and warm, high-quality and functional. Proper layering is imperative. Perhaps most important when considering how to stack layers is moisture management. 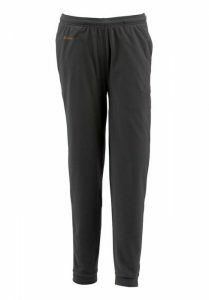 While most waders are “breathable”, on-water perspiration is inevitable. Sweat can cause cold, clammy discomfort if not wicked away from the skin properly. Here’s how to design a layering system that will manage moisture and keep you warm and comfortable in cold weather. A base layer is the first line of defense against complacent sweat causing cold, damp river outings. This layer should move moisture away from the skin efficiently. Synthetics and wool work well. Stay away from jeans. Jeans work to absorb and trap moisture under waders and will likely lead to uncomfortable outings on the river. A mid-layer should provide insulation while continuing to wick water. 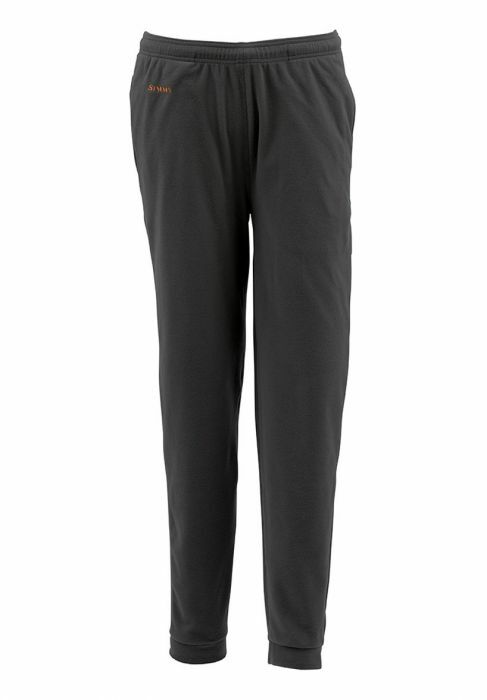 Fleece is a great option for breathable warmth and should be included as a mid-layer below and above the waist. We like the Simms Waterwick Thermal line. Depending on the temperature, this layer can be doubled to provide increased warmth. Cotton is comfortable and great for everyday wear but stay away from anything cotton on the river as it collects water and loses its insulating capability when wet. Your outer layer should act as a barrier to the elements. Rain, snow, wind and most other fall/winter conditions should be kept out by your outer line of defense against weather. Outerwear takes many forms, however, with proper mid-layer insulation a durable, GORE-TEX rain jacket worn over your waders does the job well and cuts down the fall elements before they can cause discomfort. I like the new Simms G4 Pro Jacket; the G4 Pro is rugged and abrasion resistant, highly waterproof, and sheds the elements, perfect for the fall angler. Gloves are an important fall fishing tool, too. Similar to the logic of base layers, gloves should dispel water to quickly dry wet hands in cold weather. Foldover mitts are nice if you plan on spending full days casting in cold weather because of the ability to flip the mitt up for casting and down for knot tying etc.. 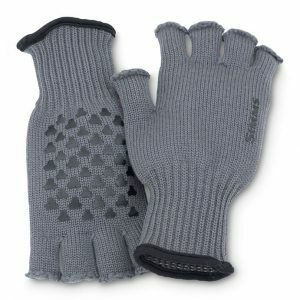 The Simms Wool Half-Finger Glove doesn’t provide the extra warmth of a foldover mitt but is a personal favorite in the moderate cold because of its gripping capabilities and durable wool design. These tips will keep you warm and comfortable this fall season. There are plenty of fish out there waiting to be caught, and, in fact, fall often produces some of the largest fish of the season. October brings the famed October Caddis in the western U.S., fantastic opportunities to fish streamer patterns, and sometimes hatching mayflies or a late-season spinner fall. What’s better than a mean brown trout bulking up for spawn or a chrome steelhead straight in from the ocean? Not much… and certainly not hot chocolate around your wood stove. Pick your spots, grab your fly box, load it with fall patterns, and get out there on your favorite fall river. The feeding fall trout will make your trip worth it. And with the proper gear, this time of year sure can be worth it. Questions about products listed here or other products on the Trident website this season? 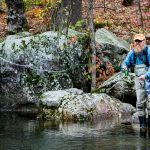 Want more info about fall fishing? Call us at the Trident headquarters at (888) 413-5211 or email us at support@tridentflyfishing.com. Follow us on Tumblr @tridentflyfishing and on LinkedIn SlideShare @tridentfly for more product information, blog posts, photos, and more! Fantastic article. Really appreciate your approach as a Fishing loving person. Hope to be success as like you. Keep it up. Happy fishing & blogging.